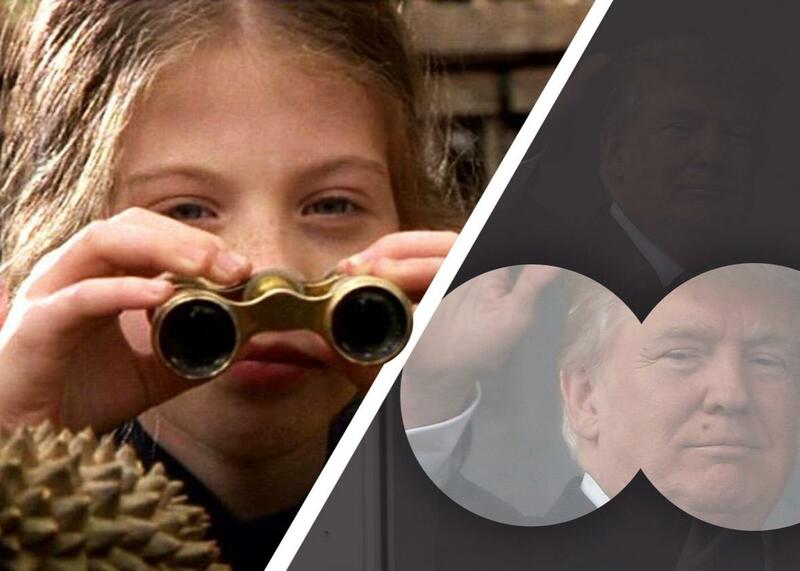 Why Robert Mueller needs to hire Harriet the Spy. In order to crack this case, he’s going to have to call on a new kind of expert. Photo illustration by Slate. Images via Nickeoldeon Movies/Paramount Pictures; Matt Sullivan/Getty Images. It has come to our attention here at the Association of Super Secret Detectives that you have recently broadened the team of experts assembled to investigate Russian involvement in the recent U.S. elections and possible associated criminal activity. Effective last month, your team now includes top-tier investigators and attorneys who will fill some gaps in the knowledge base and skill set of the existing experts. We were heartened to hear you have been especially mindful about bringing in world-class financial fraud and corruption experts, who have experience from investigations into Enron and Watergate, as well as a remarkable array of experts in the areas of organized crime, public corruption, national security, and fraud. But respectfully, sir, here’s the thing: While these individuals are clearly qualified to investigate the shady web of financial, international, and criminal corruption alleged in the ongoing investigation, last week’s revelations raise questions about whether your team has the sophistication and expertise necessary to deal with Don Trump Jr. and the assorted criminal masterminds of his ilk. In the spirit of responding to the kinds of conduct we are now witnessing—the type where an alleged offender declares “I love it” when offered possibly illegal electoral help from a foreign adversary, then defends himself by publicizing these incriminating emails—may we suggest broadening the team further? Specifically, you should include investigators better able to understand and analyze the complex co-conspirator that is Don Trump Jr., a man described by those who know him well as a “good boy” and an “honest kid.” He’s also been called a rookie and a novice and you’re going to need someone who knows how to operate in that world. Leroy “Encyclopedia” Brown, who is an expert on invisible ink made of lemon juice, frogs, salamanders, Civil War swords, and—most vitally— gangs of bullies and bullying. While his hometown of Idaville faces a potential probe by Kris Kobach’s voter fraud commission because it “doesn’t exist,” Brown’s fees are reasonable at “25 cents per day, plus expenses.” There are rumors that the Russians may have some kompromat on Brown’s girlfriend, Sally Kimball, but we are fairly confident that story was planted by rivals jealous of her super strength. Dora the Explorer would bring to the team a facility with foreign language and international exploration. Also, her sidekick Boots will likely prove an asset in uncovering any potential wrongdoing associated with the Ivanka Trump clothing line. A few more of our members could easily round out this special Trump Jr.–focused unit. Sherlock Hemlock has the benefit of extensive facial hair and the ineffable quality of greenness. Nate the Great has historically done very strong work in the field of pancakes. Plus, Scooby Doo and the Gang have proven deft at unearthing the motives and animating mentality of privileged kids such as Trump Jr., have their own transportation, and are all very good runners in case field apprehensions become necessary. It is possible the above-named assets are too sophisticated for the purposes of investigating the younger generation of masterminds known to the world as the Trump children. That’s why we are offering our top agent, Blue the dog, who is a master of leading fellow investigators to critical clues using nothing more than her paws and a green screen, with the understanding that reality will all be filled in later by the grown-ups. If ever there were an investigator for the present moment, it’s a spotted blue dog who was reverse-engineered to work at the emotional level of toddlers. Mr. Mueller, with all due respect, you’ve been assembling a Tom Clancy team to investigate a Nancy Drew conspiracy ring. All this complex research into criminal conspiracy and elaborate financial records is only going to get you so far. At this point in the investigation, a pair of cartoon dogs armed with nothing more than the ability to say “Ruh-Roh,” a green screen, and a pair of X-Ray Specs might just be enough to crack this particular case.